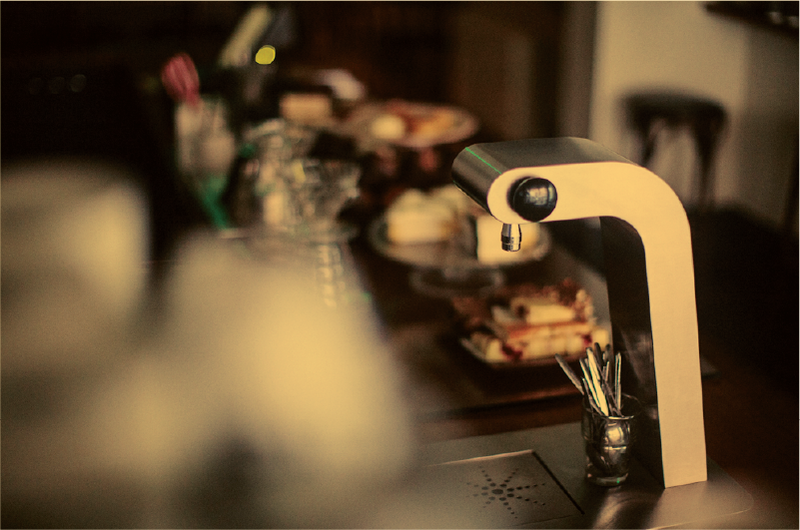 At our bar, we offer 2 Espressos and 2 Filter Coffees. We’d be delighted to help you choose what to brew or which bag of beans to bring home from our shelves. Just ask. We wouldn’t be here without the beans! One of the best things about Clement & Pekoe is creating a new audience for the roasters we work with. 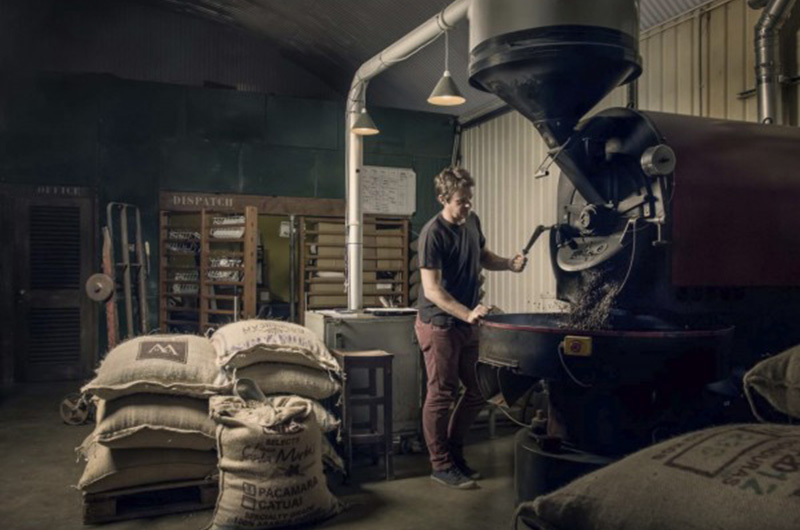 Our roasters are driven, passionate and bubbling over with enthusiasm for their product. These are small batch roasters who offer up exciting espresso blends as well as gorgeous single origin roasts that make a mighty cup of filter. We are working with these guys for a number is years now, they are a small but growing business, just like us! 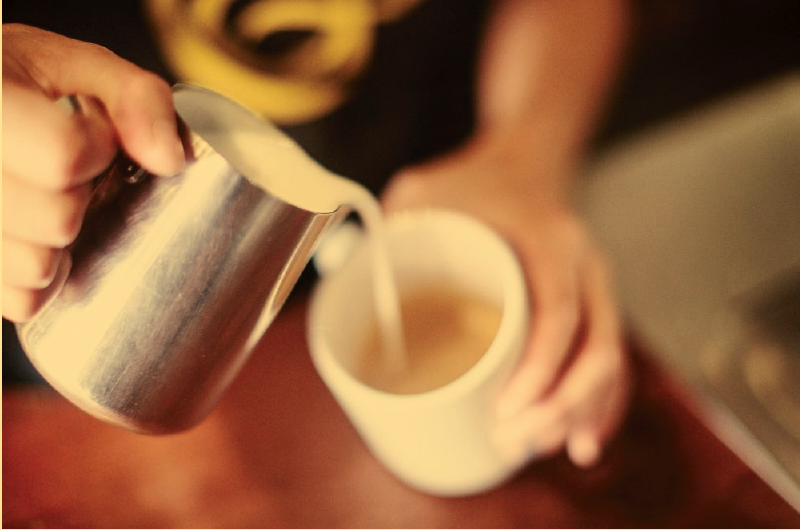 We love their passion for coffee and their precision in getting it just right every time. We have a lot of faith in these guys, so much so, we are the exclusive wholesaler for Climpson & Sons in the Republic of Ireland. Interested in getting this fine coffee into your business? Contact us! We’ll do coffee! Alex and Luigi have landed in Celbridge but started out as childhood friends from Kenya. There are such approachable and knowledge guys. It been a priviledge working with them. Not least because they get those beans to us pronto, when we are running low! Their Philosophy is to source and roast some of the best coffees available …and that they do, so we are delighted to showcase them on our shelves. Kevin, owner and roaster, is just down the road from us (sort of) in Co. Wicklow. Brewing up an incredibly rich cup of coffee without sacrificing subtleties, Kevin knows his beans! All the usual suspects are here — only made better through outstanding beans and beautiful baristas! We mean well-trained baristas, as well as aesthetically pleasing. Be it a latte, a cappuccino, an Americano or a decadent mocha, we know how to dose, tamp, extract and steam it to perfection. Don’t see your drink of choice on the menu? Just ask, we’re flexible! In addition to our full-range espresso menu and daily brew bar offerings, we have options a-plenty for the non-coffee drinker. Housemade lemonade, loose-leaf brewed iced tea, and hold-onto-your-hat Hot Chocolate! No one is gettin’ outta this joint without a drink! We get a weekly delivery from all our Roasters. Due to the seasonality of Coffee, the selection changes frequently. 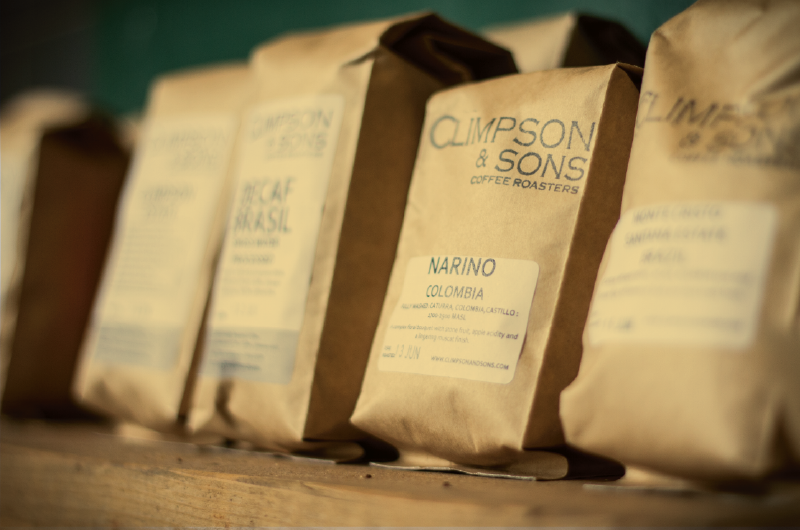 Our House Blend is Climpson Estate, which also changes, to maintain a consistent taste profile. We are on hand and only too delighted to talk Coffee & help you choose. We also grind on Demand. We have an extensive choice for the Home Brewer. Lots of kit to choose from and always on the look out for new gadgetry. 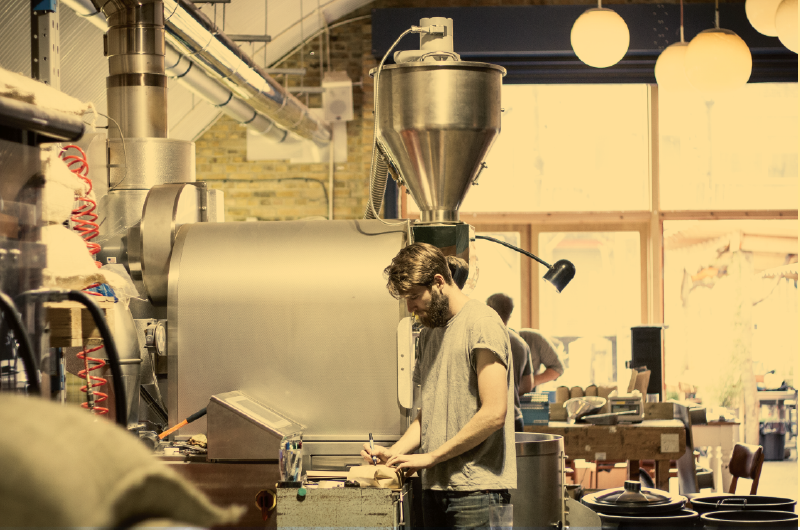 Our good friends and skilled roasters, ‘Climpson & Sons’ are based in London Fields with their small neighbourhood cafe in nearby Broadway Market. We have an excellent working relationship (and an excuse to pop over to London regularly), often to admire how they are growing and developing their roastery. We exclusively serve and distribute their beautiful produce in Ireland. We arrange our weekly roasting schedule with them on Monday for a Thursday delivery.